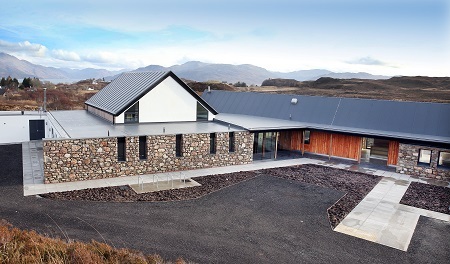 A new community hub in Sleat — An Crubh — officially opened last weekend. 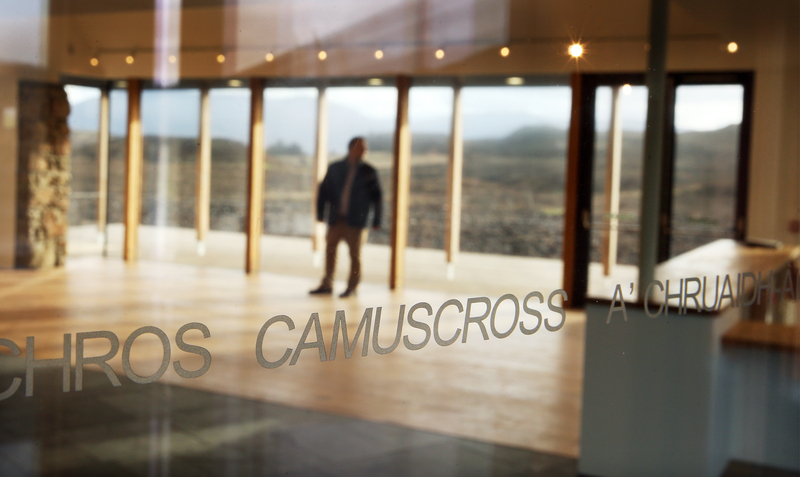 Comprising a café, shop and gathering space, the hub was developed by the Camuscross and Duisdale Initiative with the aim of giving locals and visitors alike a place to meet, to shop and socialise. Before Saturday 1st April, buying a litre of milk meant using two litres of diesel to get to a shop and back. Now the community and its visitors have a well-stocked general store, selling local produce and supporting suppliers in the area. The café has a cosy inglenook where small groups can gather for activities. A highly talented chef, just returned from working in Japan, offers appealing, affordable food, including some great vegetarian options. The hall itself is at the heart of the building. It has already taken bookings for exercise and yoga, charitable events, dances, weddings and stand-up comedy. 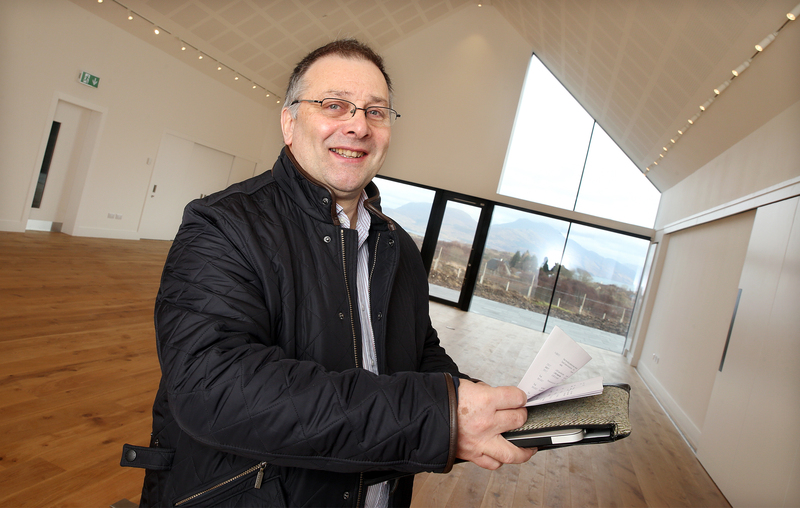 It’s situated in a very picturesque spot, with great panes of glass showing off the mountains of the mainland.